Randy’s life began on February 19, 1950, the son of Duane Truman and Myrna “Jean” (Holmberg) Duncan in El Dorado, Kansas. 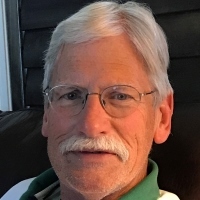 He graduated from El Dorado Class of 1968, attended one year at Kansas University and obtained his Business Management degree from Emporia State University. He married Dana Lynn Ball on February 16, 1990, in Smithville, Missouri. Randy was in the tanker truck industry and was self-employed in later years. He loved sports, fishing, carpentry, talking politics and thoroughly enjoyed his grandchildren, nieces and nephews and just children in general. His loving family includes his wife, Dana of the home; son and his wife, Casey and Krista Wimberly of Platte City, Missouri; sister, Janet Crace of Troutdale, Oregon; two grandsons, Dayne and Keston Wimberly; sister-in-laws and their husbands, Sandy (Harold) Cooper of EL Dorado, Daytha (Glenn) Langenegger of Burns, Kansas; brother-in-law and his wife, David (Elizabeth) Ball of Manhattan, Illinois; nephews, Scott Duncan and Brian Crace; niece, Brianna Crace and many great nieces and nephews. He was preceded in death by his parents, and his brother, Wayne “Kent” Duncan. Randy passed away Tuesday, February 12, 2019, having reached the age of 68 years old. Memorial contributions in his name may be directed to the El Dorado Baseball Hall of Fame, 210 N. Griffith, El Dorado, Kansas 67042. Please sign his online guest book and leave a memory of Randy at www.carlsoncolonial.com.